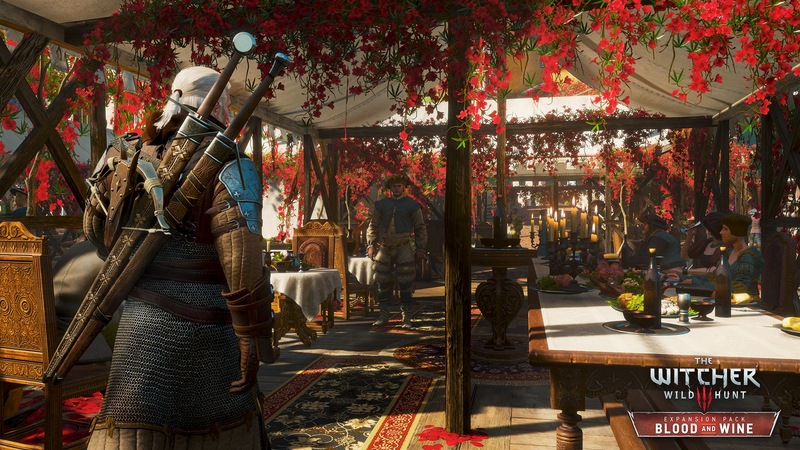 The Witcher 3: Wild Hunt was already a fantastic game last year, and if you needed any more reasons to jump back to it in 2016, look no further than Blood and Wine, its last piece of downloadable content. Just like Heart of Stone, Blood and Wine is a contained story that takes place in the world of The Witcher 3 and can be played at any time during the main campaign. The only caveat is that your character should be at around level 35, but in case yours isn’t, the DLC gives you the option of starting at that point right from the get-go. The setup for this expansion is that the people from the colorful kingdom of Toussaint are suffering from the attacks of a creature who’s killing off important court figures, one by one. Geralt is summoned by the duchess to investigate, and thus the new content begins, taking things to an entirely new and visually striking region of the world. 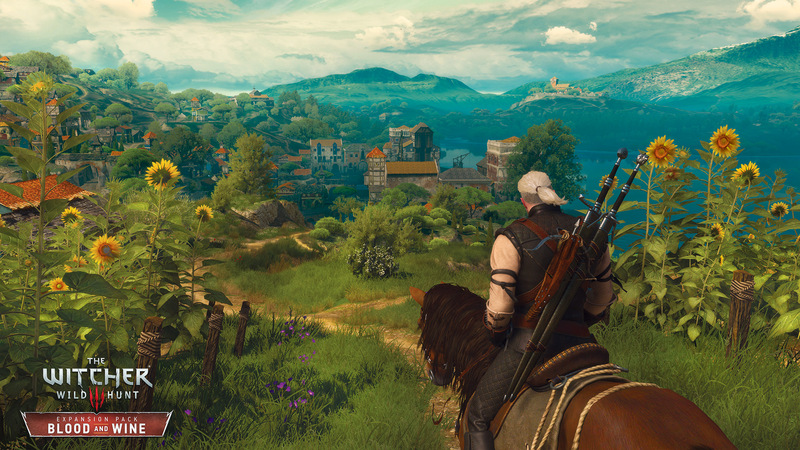 Compared to Velen, Novigrad and Skellige, Toussaint feels like a Disneyland ride turned into game form the first time you set foot into it. Things quickly go the other way once you get into the thick of things, though. Blood and Wine‘s story is easily one of the darkest and best written tales in The Witcher 3. It’s probably right up there with the now infamous Bloody Baron questline, as well as other highlights from the original campaign and expansion that came before it, Heart of Stone, which was excellent on its own. And much like the content in the main game and even the previous The Witcher games, you’ll want to replay this add-on — or at least make a couple of strategic save games at specific parts of the story — to experience the full breadth of its crossroad filled story. As for the quests you partake in, Blood and Wine delivers in spades. The DLC takes you all around Toussaint, making great use of its geographic variety and beauty in the process. They play with the usual Witcher mechanics like investigation and information gathering, but also throw in a few new concepts into the mix to keep things interesting, like simple puzzles that involve a bit of creative thinking before giving way to the next objective — i.e, having to figure out a hiding spot based on a poem written in a book. You can also expect to run into a very tough fights, especially if you’re playing on higher difficulties. There’s a ton of new monsters to slash your way through. Heart of Stone had already introduced one of The Witcher 3‘s most bizarre designs ever with The Caretaker, but Blood and Wine takes the cake in terms of sheer creativity with base fantasy creature concepts. It’s no spoiler that this DLC deals with vampires, so I don’t feel particularly bad about mentioning that there’s a lot of different species of that specific kind of enemy roaming Toussaint. There’s also a generous amount of creative repurposing, throwing in already introduced monsters in a entirely new light during a section of the DLC that I won’t go into detail. Thankfully, Geralt gets a pretty decent buff during Blood and Wine via one of its side quests. After completing it, you’re able to spend level up points in mutations which eventually open up special effects to spells as well as combat skills that play with what already could be unlocked on the three base skill trees. For instance, one of these causes Geralt’s telekinect push to also freeze enemies. There are also a number of passive benefits that come with leveling mutations. One of them is the eventual addition of even more active skills slots, the more points you put into those. There’s also new rows of skills for the aforementioned base skill trees. My character was deeply focused on an alchemy build coming into Blood and Wine, but some of the new combat and signs (spells) prompted me to go for another route, which made the game a lot more fun and engaging. If any of that sounds trivial to you, especially if your character is already high level and doesn’t level up as fast anymore, there’s good news. The former stupidly rare re-spec potions can be found at just about every vendor in Toussaint’s main hub, so you’re free to reset your skill trees and spend your points in mutations from level 1 forward at your leisure, as long as you have the gold to spend. Speaking of new features that were patched in since The Witcher 3‘s release, it’s worth mentioning that the entire game has gotten much more playable, thanks to the numerous improvements to its interface. Inventory management is actually manageable now, with items split into more categories and shortcuts for quicker access during crafting. Playing this on consoles is still a little fiddly due to the lack of a mouse and the slower streaming of data after spending well over two hundred hours and gathering many individual items, but even so, it’s leaps and bounds better than before. There’s no denying that The Witcher 3 was already one of the prettiest games around. Blood and Wine only makes that more evident. Toussaint is a beautiful new addition to the immense and diverse The Witcher 3 world. It’s ridiculously colorful mix of many Mediterranean cultures, with tones so saturated that you’ll question your monitor’s settings. As the name gives away, this region is deeply rooted in the culture of wine, which helps set the tone for how inebriated some of its its inhabitants which Geralt deals with are. There’s also an unique personality that permeates Blood and Wine that’s delivered via its beautiful soundtrack, excellent writing and voice cast, with gallant knights, jousts and a sense of actual fairy tale that’s so expertly deconstructed and put back together in the overall The Witcher lore. I’m really sad that Blood and Wine is the very last piece of downloadable content for The Witcher 3. On the other hand, even many many hours into the game, I still haven’t seen everything it has to offer. My map is filled with question marks that I have yet and really want to explore, which really speaks to CDProjektRED’s immense creativity and incredible world building that’s been keeping my interest for longer than entire franchises have had in the past. It also helps that The Witcher’s lore is so damn gripping, even if it sometimes — very rarely, but still — threads through known and tired territory. I’m thoroughly satisfied that Blood and Wine manages to tie a knot in the story department, but hell, I’m far from being done with this game.